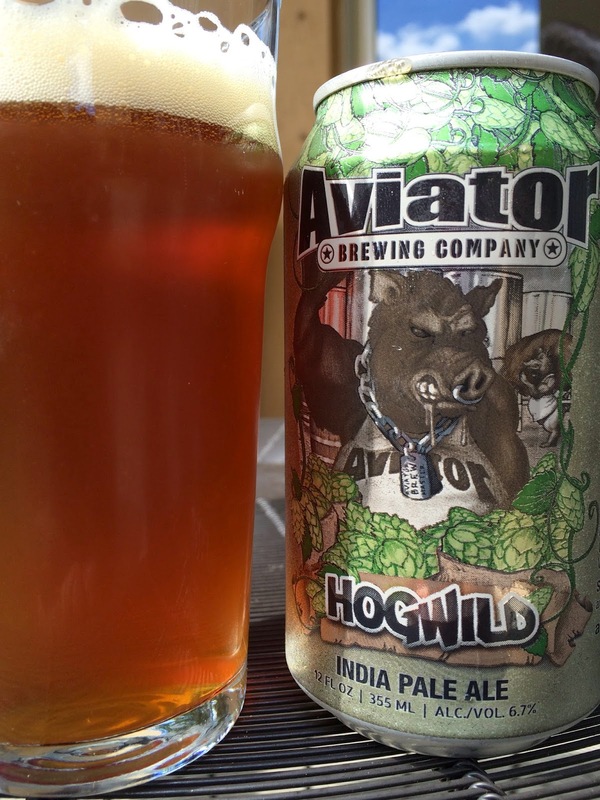 I had this can of Aviator Brewing's HogWild India Pale Ale in my fridge. "Had" because I just finished it and now will proceed to tell you about it. The can art is pretty fun, featuring an enormous boar scowling and flexing its biceps. Upon close inspection, you can see he is wearing an Aviator tank top and on a work shift at the brewery. Its nose septum ring and giant chain with dog tags basically say "don't mess with me!" 6.7% alcohol. 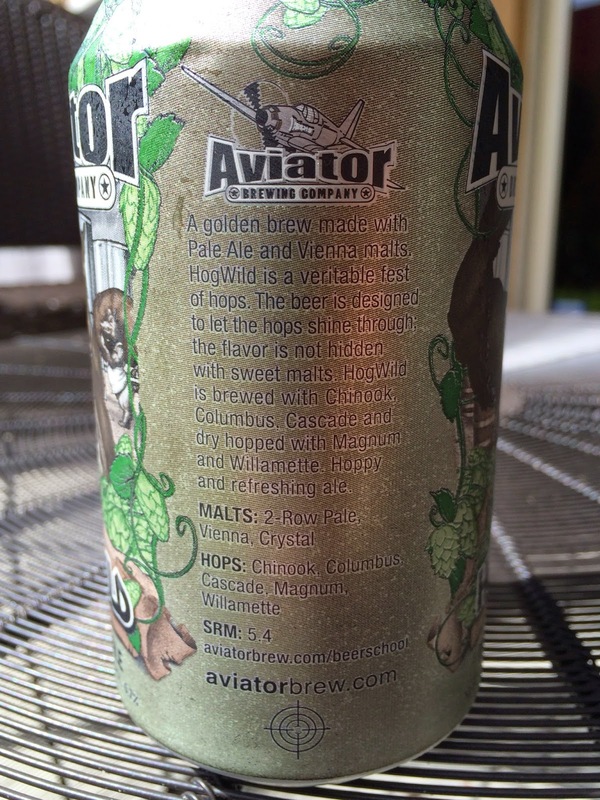 Pine, caramel and a hint of tropical fruit in the aroma. The flavors start out weirdly sweet, full of caramel and butterscotch. Some tropical pineapple and orange sweetness follows. Some pine, citrus rind and spicy hops do make an appearance, but this is nowhere near a "veritable fest of hops" as the can suggests. Some good flavors, but way too sweet and the buttery/butterscotch flavors are definitely undesirable. Total pass is a category that includes hundreds of A+ IPAs.